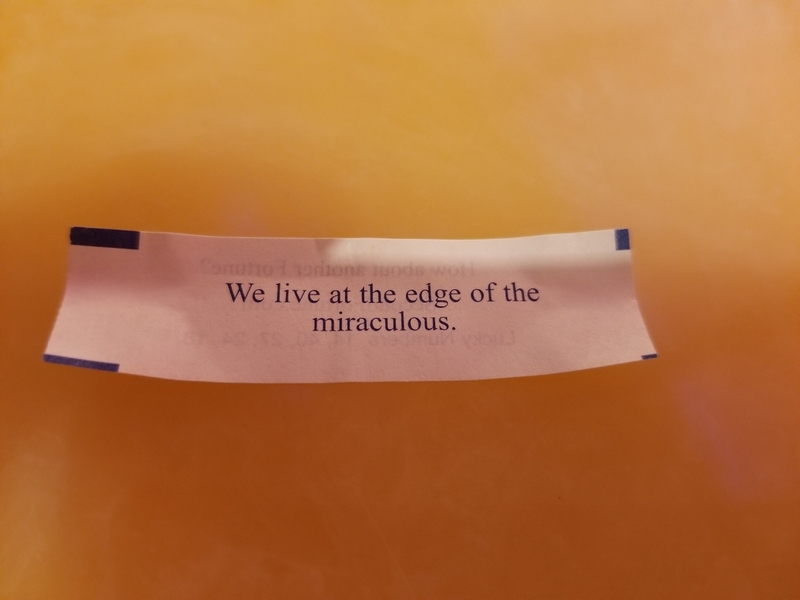 I was in Lumberton for work on Thursday and got this fortune at supper. 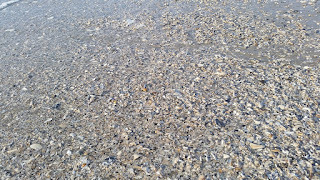 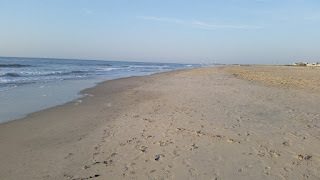 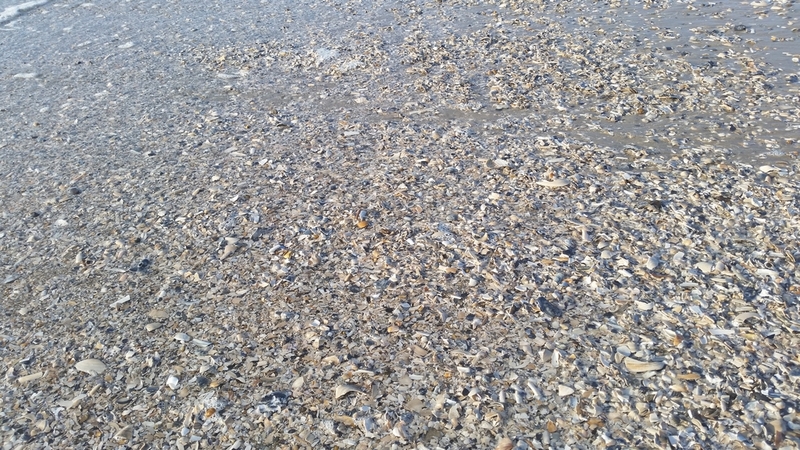 Monday I took an early morning walk on the beach. There's something calming about being by the ocean, especially in the morning. 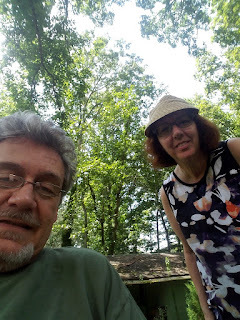 Sunday we left for the shore. 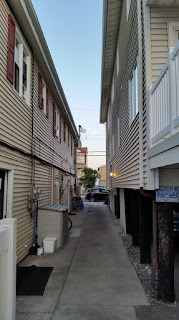 We're spending Labor Day week in Ocean City, NJ. 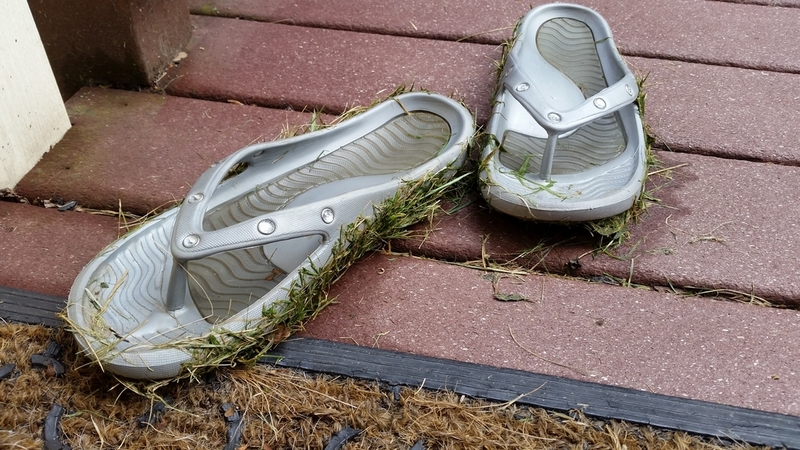 Before we left PA I noticed Eva's shoes growing grass. 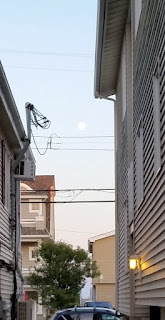 The moon is hiding between the houses. This month (September) my mom turns 80, and mom and dad will be celebrating their 60th anniversary. 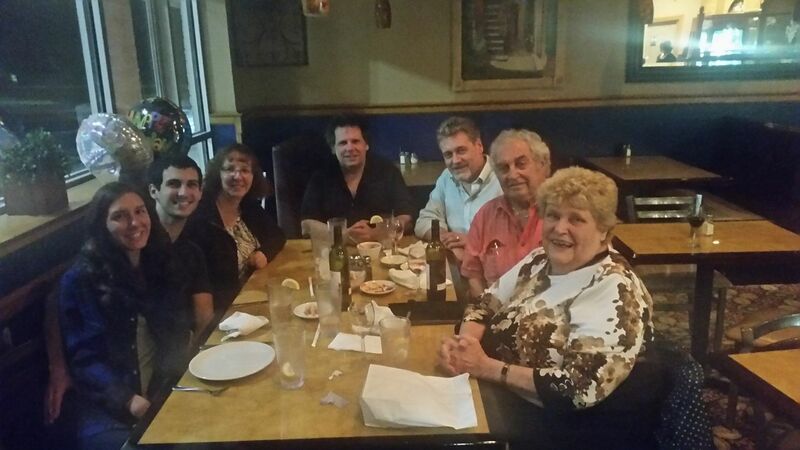 To celebrate, she wanted to get the whole family together for dinner. Unfortunately Meredith couldn't get time off work, but the rest of us were there. Stephanie, Brett, Karen, David, me, dad, and mom. 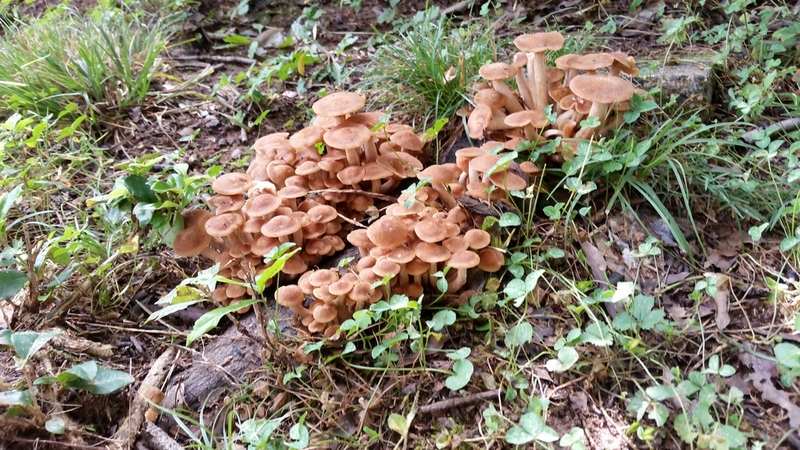 Since we all lead busy lives I can miss what's happening in the yard for weeks or months sometimes. Knowing that, I make a conscious effort to look around periodically and enjoy our space. 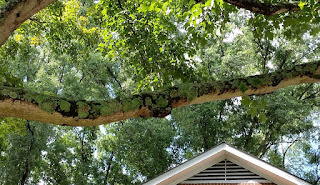 We have lots of lichen on our trees. 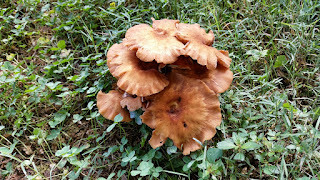 With the recent rain we had a mushroom bloom. 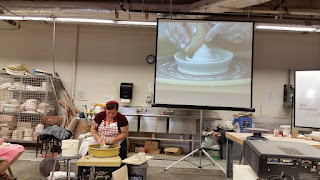 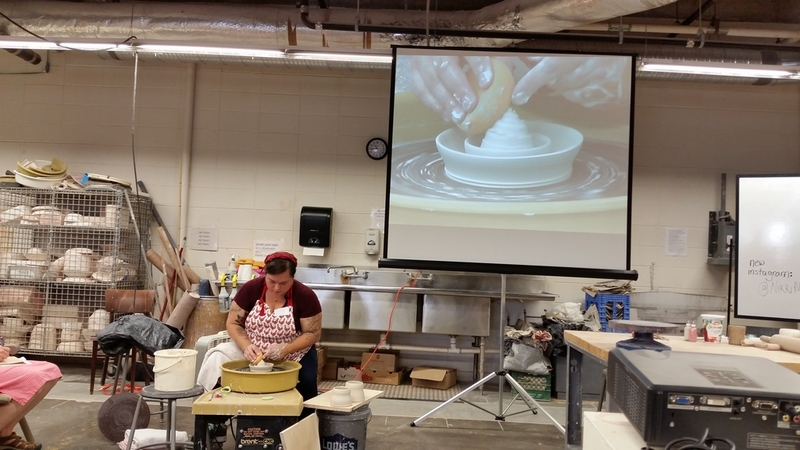 Sunday Carolina Clay Matters Pottery Guild presented a workshop with Nikki Mizak. 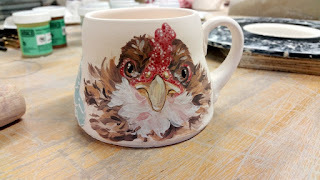 Nikki makes functional work decorated with beautiful chicken and other animal designs in underglaze. 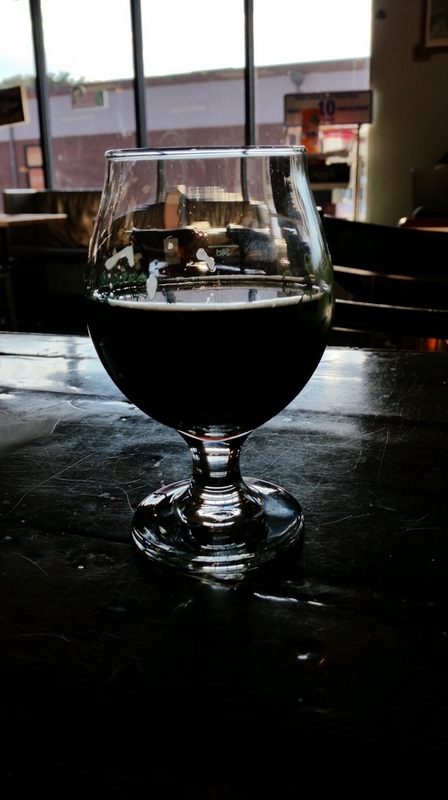 Thursday I had a nice Infidel Porter from Wicked Weed at Common Market with an Evil Homer sandwich. 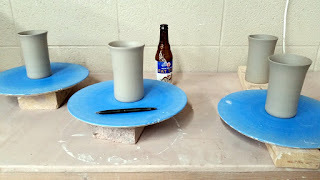 After that I went to Clayworks and made some tumblers. Still working on the correct form for my tumbler commission. 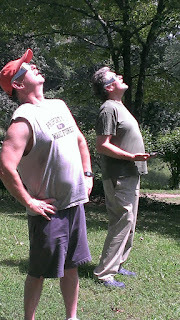 Monday was the date of the total eclipse and we went to Franklin, NC to experience it in totality. 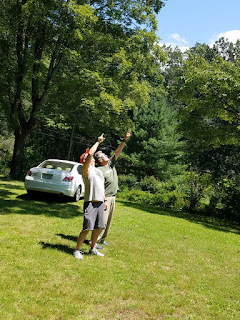 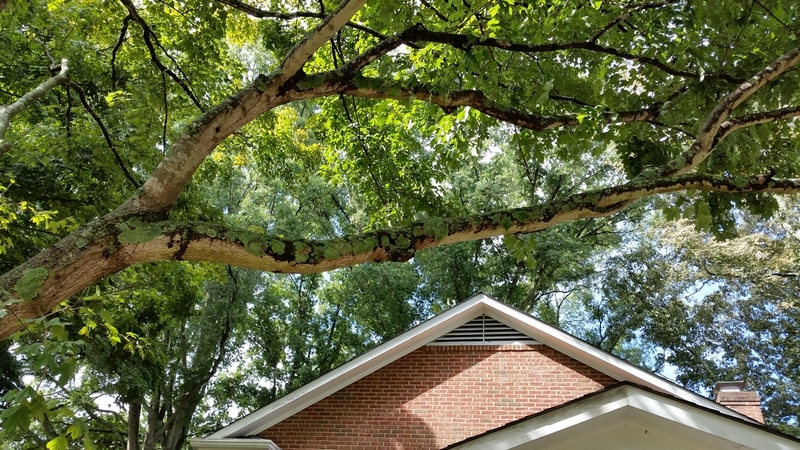 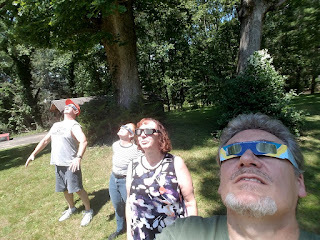 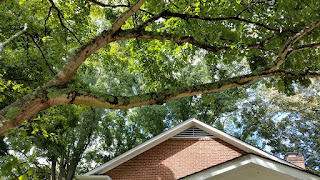 We have some good friends named Pam and Chip, and Chip's mother's family home is in Franklin so he invited us up to experience the eclipse there. 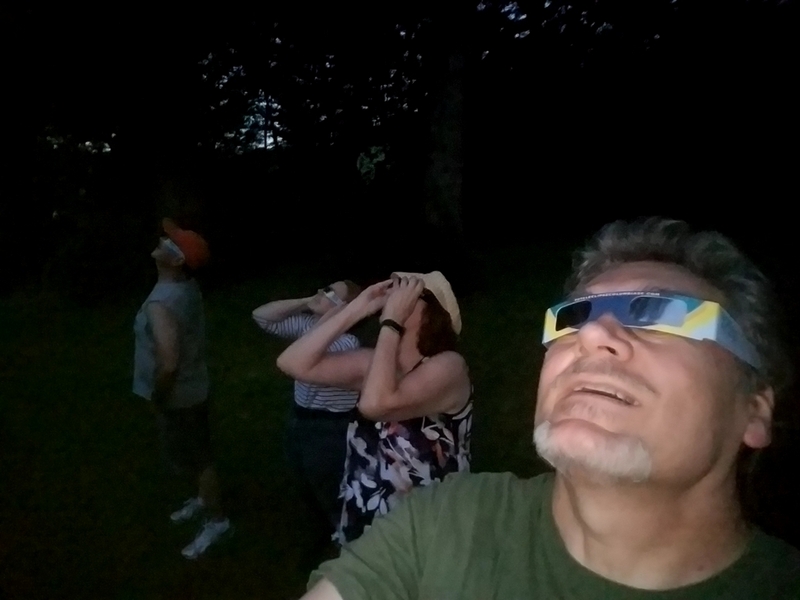 We had a nice time hanging out with friends and were blown away by the total eclipse. 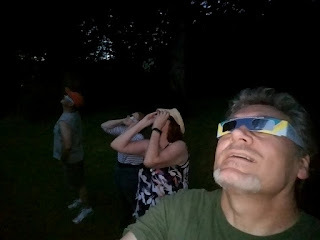 We had our groovy glasses (thanks to Pam!) 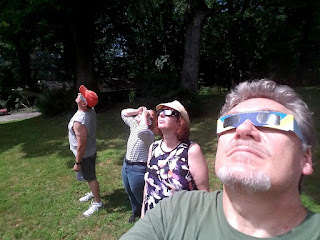 and we watched it in safety. During totality we removed our glasses and got a peek at the real thing. Exciting stuff! 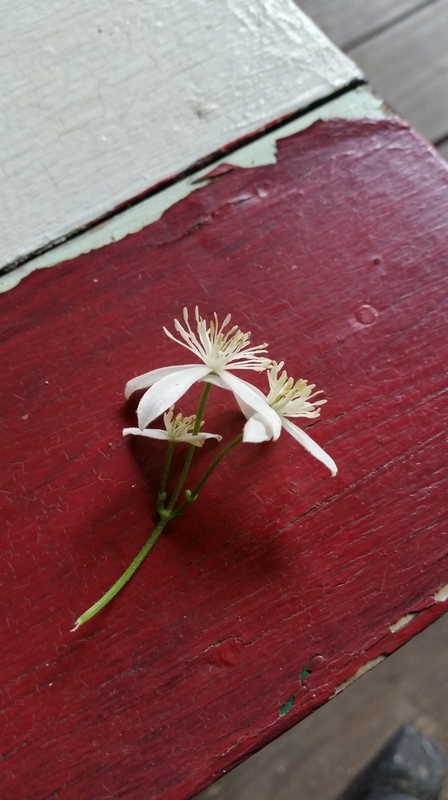 Flower from vine on porch.